The common belief is that customers don’t really like their banks, but have to make do with them. 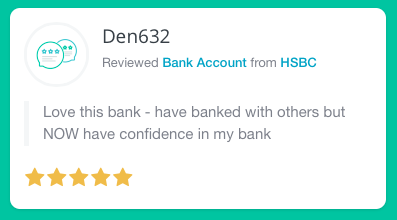 Your bank reviews are telling us something quite different. In fact, as our bank recommendation tracker shows, 38% of you love your bank enough to actively recommend them to your friends or family. The overall bank recommendation rating currently stands at 7.35 / 10, which is pretty good. Interestingly enough, we’ve had quite a few bank account ‘switchers’ write reviews with us. Typically, customers are tempted by switching incentives, while others have been pushed away from their bank by poor levels of customer service. Switchers leaving a review on SmartMoneyPeople seem to really love their new bank, providing an overall rating of 4.7 / 5 and a net promoter score of 9.4 / 10. Our mission is to use the power of customer reviews to increase trust and transparency in the Financial Services industry; to help make it work better for everybody. Keep your reviews coming in…we like reading them! Why not write one now?